Everyone knows about that one kind of refillable lighter with the sweet clicking sound, the lifelong durability and the windproofing. 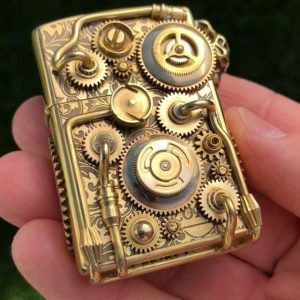 This Vintage SteamPunk Lighter is not that lighter, but it’s a good alternative if you’re into something with a retro / vintage / steampunk style to carry in your pocket. The metal lighter is slightly taller than the more common alternative and isn’t weatherproof, but does weigh a similar amount and uses a similar mechanism. It includes everything you need to start a fire — except the fluid itself. If you’re looking for a slightly more offbeat looking alternative to the standard, flip-top lighter, this is it. 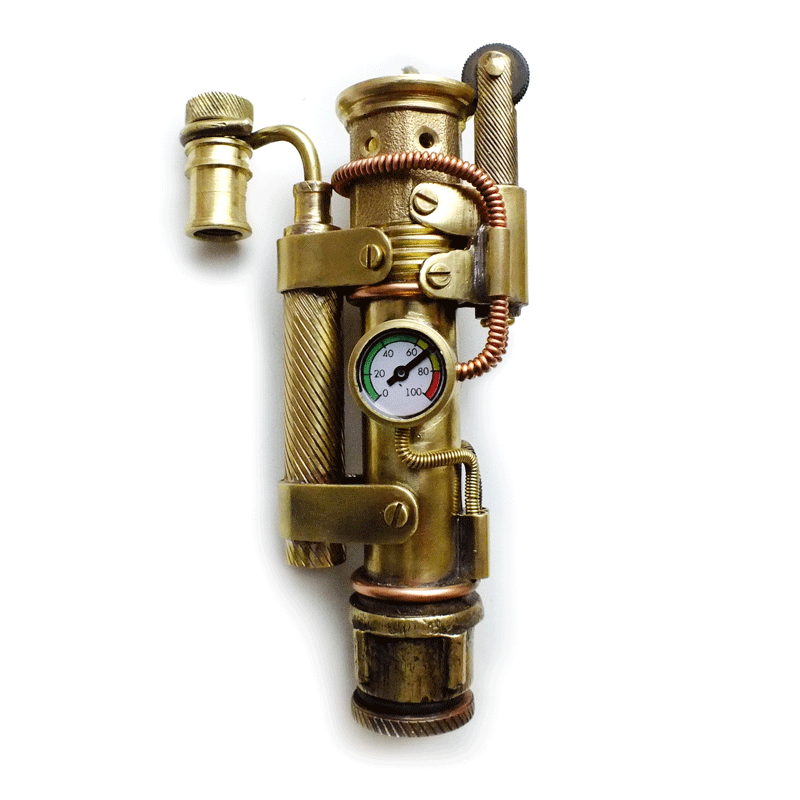 This Vintage SteamPunk Lighter is made of brass, copper and bronze. It is a Made to order handmade lighter, that means it will be one-of-a-kind lighter in the universe. 100% repetition is not possible, but it will be as close to the photo image as possible! usual time to manufacture is 7-10 business days and ships within 2 business weeks of order.